Despite the recent warm weather, fall is upon us! 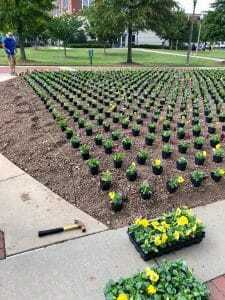 Our seasonal color crews stormed UAB last week and will begin planting at residential properties toward the end of October. If you have not contacted our Seasonal Color Manager, Taylor Elders, about installing fall flowers at your property, please do so immediately. In our maintenance division, crews have applied fall pre-emergent and will begin leaf removal as soon as leaves start falling. We’ll be cutting back irrigation at the end of this month or first of November. It will be turned off completely as weather permits. 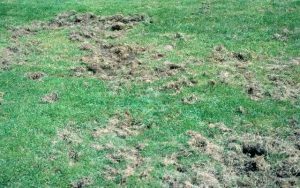 Please keep your eyes peeled for any signs of digging from armadillos, birds or raccoons. 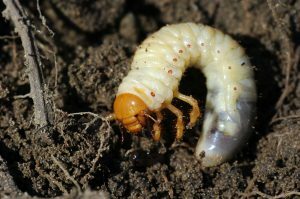 Report to your crew leader immediately as this indicates the presence of grubs. They pose a serious threat to plant or turf health over the winter season due to their root-eating habits. Although our crews will be checking as well, early detection will lead to more effective treatment.